Learn the power of Motion Path in PowerPoint 2007. Learn to create a cool effect by watching our video tutorial. 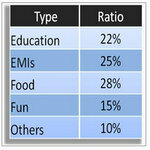 Any of these 2007 animations can be carried out easily in PowerPoint 2010 or 2003 as well. You can download this slide with animation after you finish going through the tutorial. You can easily replace the picture by using change picture option. Change it to a pack shot of your product or the image of your logo instead of the picture given in the slide. So, you can make attractive title slides with the effect instantly. Motion path comes in handy if you want to present complex concepts in a simple way. We wish to show you some quick examples that highlight the kind of impact you can achieve with the right use of the animation. The following template captures the concept of input – process – output in an elegant way. You can even label the glossy balls that represent inputs and outputs. We used custom motion path to achieve the result. The following template helps to highlight the innovative and resourceful sides of an organization in breaking through barriers that stop its competitors. 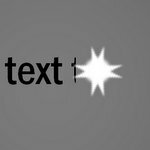 When creating slides with 3D arrows like this or other 3D objects you may need to be extra careful while using motion paths to ensure that the result looks correct. Motion paths can be used even for making creative lists instead of the usual bullet points. 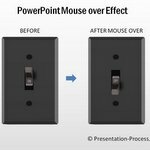 In this elegantly creatively designed PowerPoint template, you can see how simple animation has been used to achieve powerful results. Please click on timeline or play button below to start. 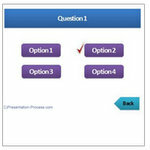 You can download the sample PowerPoint presentation we created. To save the pptx file to your desktop, Right click and use ‘Save Link As…’ option. While Motion path helps you explain your ideas visually, it takes time and practice to get the maximum out of the tool. 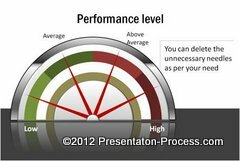 We create mission critical presentations for a number of business clients and teach visual presentations to business managers. We have found Motion Path Animation tool an elegant option for showing various business concepts as powerful visual diagrams.